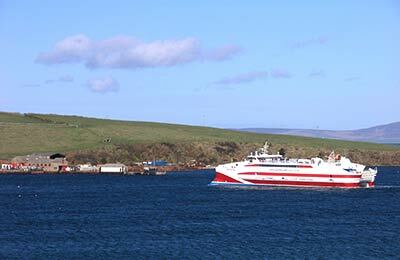 A family-owned Ferry company, Pentland Ferries has been offering crossings between the Pentland Firth and the Orkney islands since 2001. Book Pentland Ferries today with leisuredirection.com – All Pentland Ferries routes available to book including Gills Bay and St Margarets Hope. 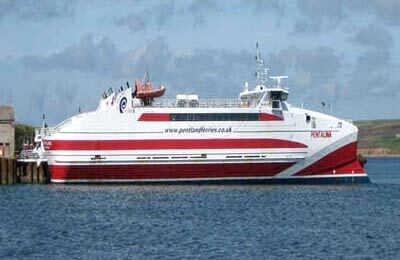 Pentland Ferries counts two ships in their fleet: the MV Claymore and the Pentalina B. 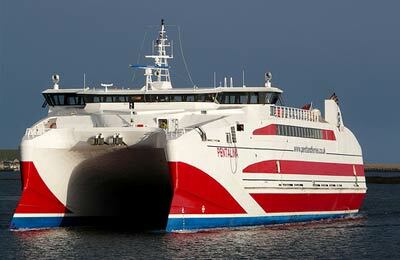 The facilities onboard are kept to the strict necessary as the crossings are just under 1 hour, however, there are nice relaxing lounges with views across the Firth and a cafeteria with snack bar and toilets. What is included in the Pentland Ferries price? You can take your cat or dog on your Pentland Ferries sailing. When you select your preferred route, simply select the number of dogs or cats that you are travelling with. If the option is not available, please contact us. Pets are free to travel but must remain on the outer decks or in your vehicle on the car deck.